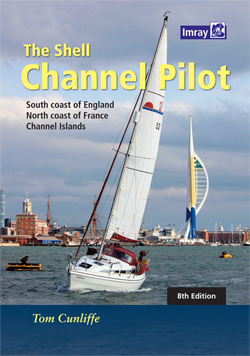 For more than 80 years The Shell Channel Pilot has been the ultimate authority on English Channel navigation and pilotage. Upgraded and updated regularly, this is the 8th edition published by Imray under compiler Tom Cunliffe’s steady hand. Click here for more details and to buy a copy. NOTE: Please also download the latest Supplement, which includes a critical erratum notice.